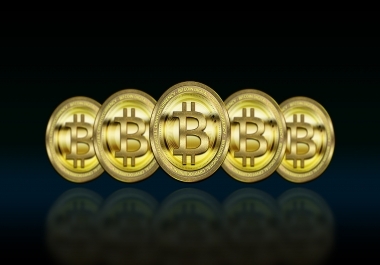 Bitcointalk Is a World Biggest Cryptocurrency Forum. A BitcoinTalk Announcement Thread Has Become A Necessary Component Of Any ICO. Trustworthy ICO listings Have An Ongoing Thread About The Company And The Coin On This Message Board.So We WIll Make Your Thread On This Forum. We Are Very Professional Thread Maker. ✍ Most Biggest And Reputed Cryptocurrency, Bitcoin And Blockchain Forum Ever. We Are Experienced Bitcointalk Thread Manager. 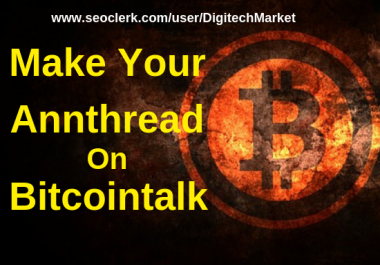 We Have 200+ High-Rank Established Bitcointalk Accounts. 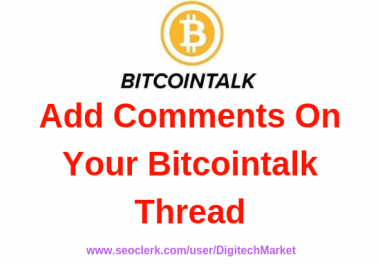 We Have Made 200+ Attractive Bitcointalk ANN THREAD. We WIll Provide Lifetime Thread Moderation. I Will Provide Lifetime Customer Support. After Thread Made If You Want To Upgrade Your Thread In Future. I Will Help You.